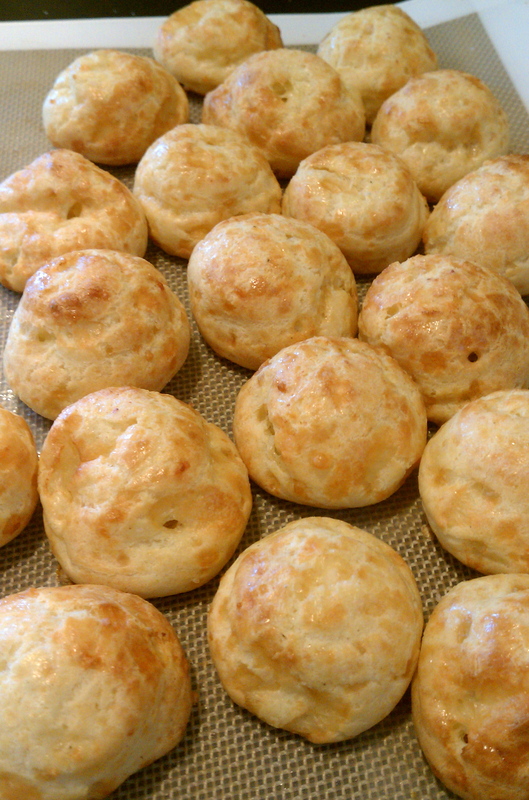 one of my favorite appetizer recipes to make has to be my gourges, or cheese puffs for you “non-frenchy” types. after trying several different incarnations from various chefs, i wrote my own version and i’m ready to share it with you. i make these little beauties for cocktail parties, dinner parties, or even a tuesday movie night. they are delicate pillows of cheese heaven and you don’t have to be a french pastry master to make them. 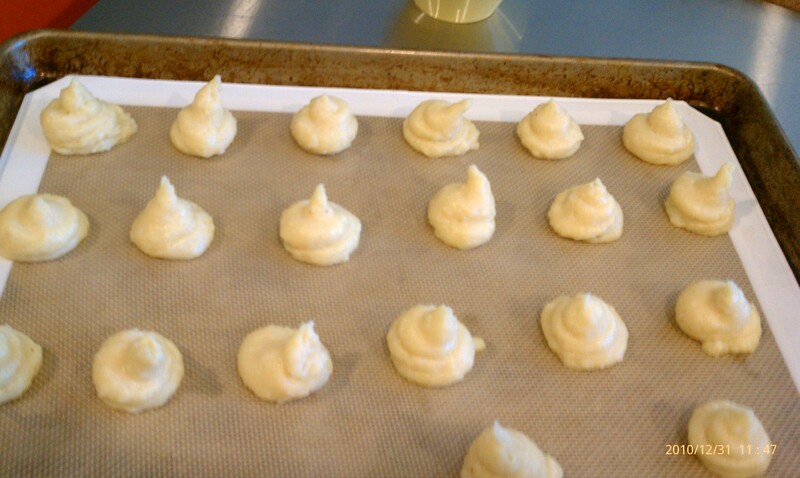 i must have made these four times over the holidays so i racked up a few recipe requests. here’s to a new year filled with cheese! 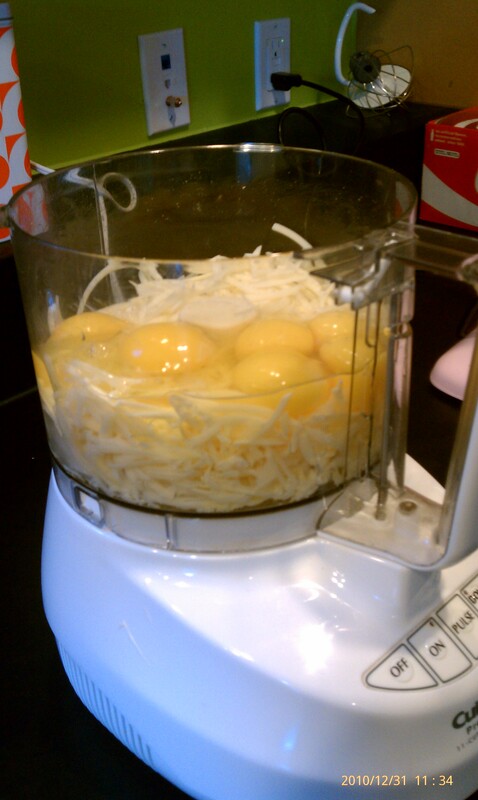 have your grated cheeses and your eggs all ready in a cuisinart fitted with the blade attachment. 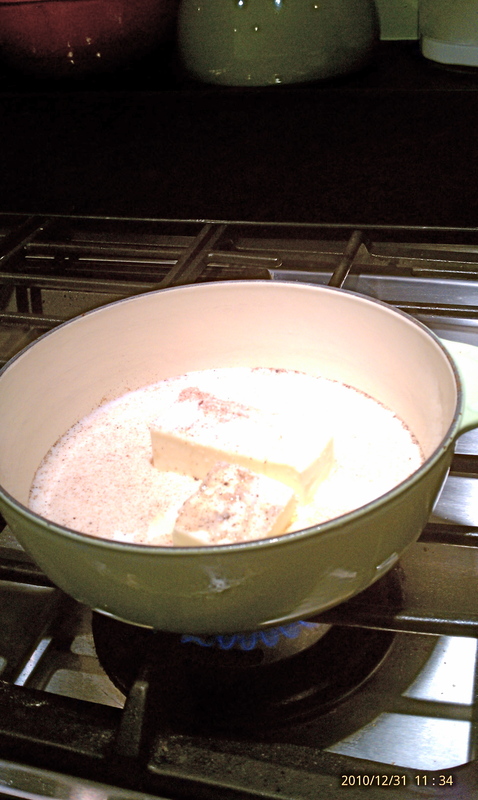 in a heavy bottomed saucepan, heat the milk, butter, salt, pepper, and nutmeg over medium heat until it just begins to bubble. turn down the heat to medium low and add the flour all at once. 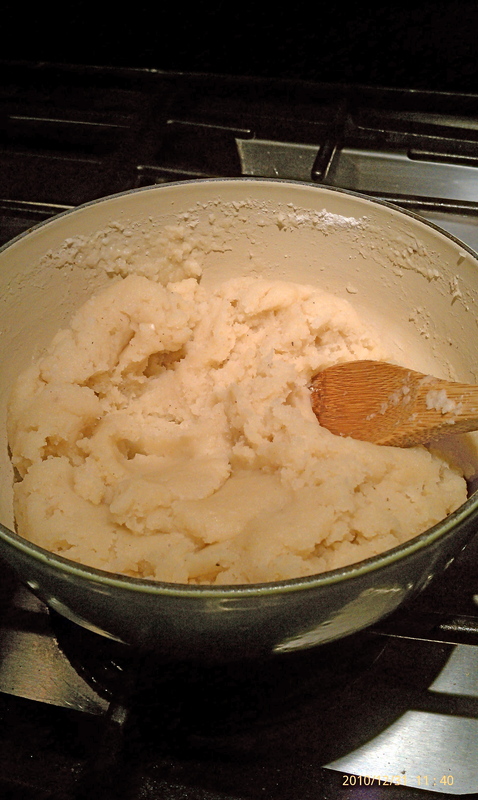 beat it vigorously with a wooden spoon until the mixture comes together and all the flour has been mixed in. cook for around 2 minutes stirring constantly until the flour starts to coat the bottom of the pan. dump the hot mixture right on top of the eggs and cheese in the cuisinart and pulse a few times until the dough is smooth. now you know how to make one of my signature dishes! 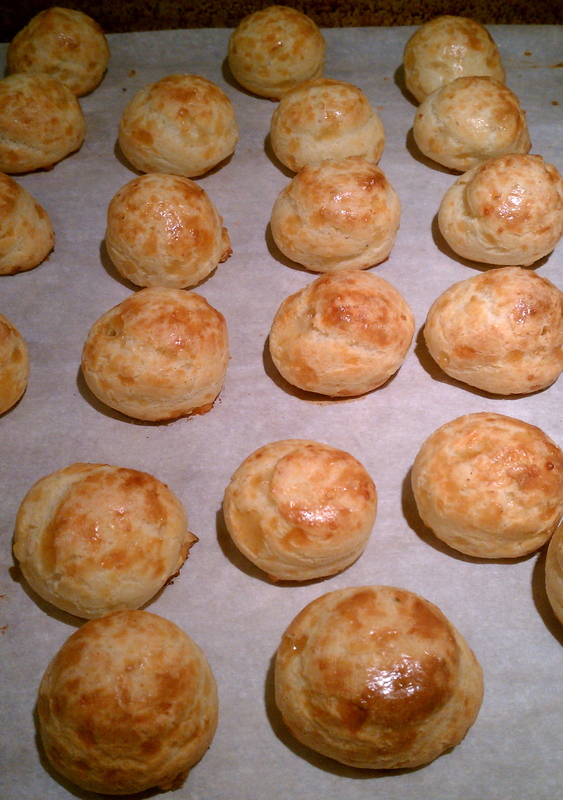 you can make these puffs a few hours before the party and heat them up for 5 minutes in a 350 degree oven just before serving. i’ve tried making them a day in advance but they never taste quite as good as the day you make them. i really like the little sprinkling of finishing salt on the top of these gourges. most recipes call for a sprinkling of cheese on top but i feel that the salt brings out the sharpness of the two cheeses in a really lovely and subtle way. 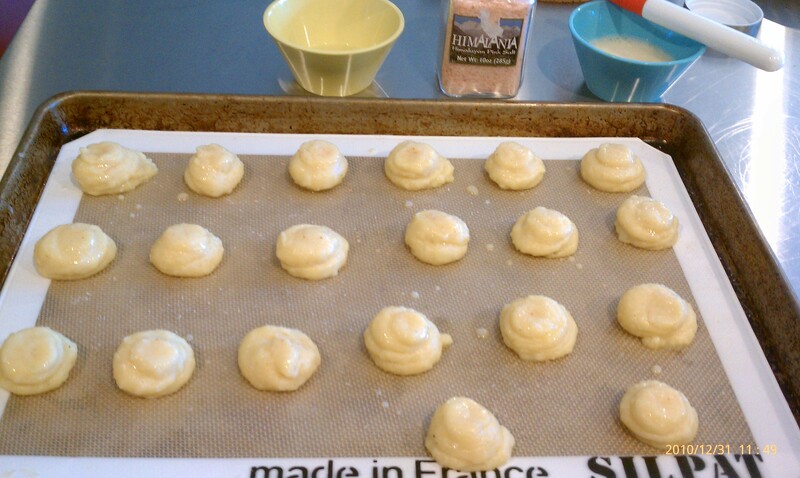 This entry was posted in appetizers, cheese, Recipes and tagged cheese puffs, food, recipe. Bookmark the permalink. Yum and great blog header!